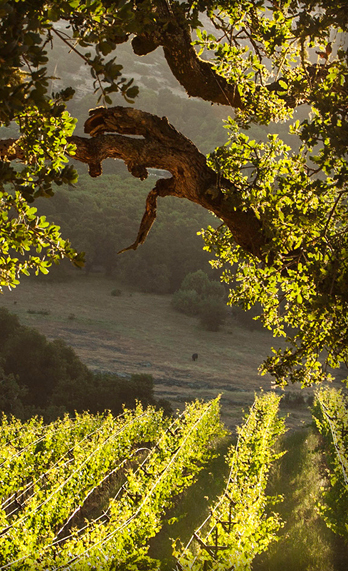 V12 Vineyards was born out of a tradition of focus, determination, teamwork, excellence and winning. Jim Vasser, Sr., an incomparable vehicle enthusiast and automotive business professional, long-ago instilled in his family the love of cars and motorsports. His young children were involved in racing, an exciting lifestyle, and for the Vassers, automobiles became a family affair. When Jimmy Vasser, Jr. became a professional race car driver, it was a natural choice that eventually led to an Indy-Car Championship Title. In the '90s the family purchased an automotive dealership in the Napa Valley. Living and working in the region provided the wine country experience which appealed to Jimmy. Although he still travels on the racing circuit and spends more than 200 days annually on the road, he can regularly be found spending "down time" in Napa. In 2001, Jimmy purchased from Rob Mondavi the former chicken ranch which he has meticulously transformed into the V12 Vineyards Estate. It took several years to get through the local planning process before the first vines were planted in 2006 and the first harvest was two years later with the 2008 vintage.